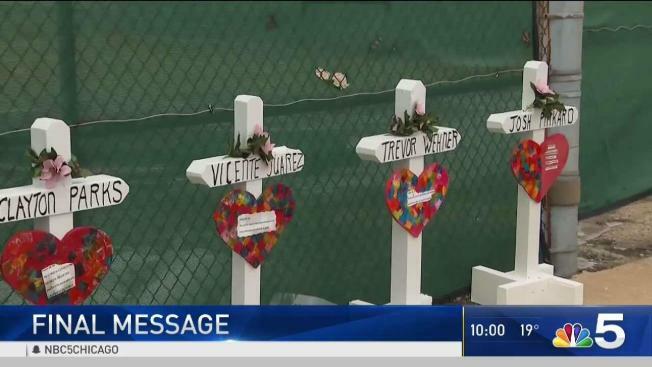 In the aftermath of the tragic shooting deaths of five people at an industrial complex in Aurora, Illinois, the wife of one of the victims said he had one final message for her before he died. Terra Pinkard, whose husband Josh Pinkard was killed in the shooting, posted a long message to Facebook on Sunday, saying she learned of the shooting in a text message from him. Pinkard was the plant manager at the Henry Pratt Company, and had held the position since he relocated to the Aurora area in 2018. He was one of the five victims shot and killed by an employee who was fired by the company on Friday.